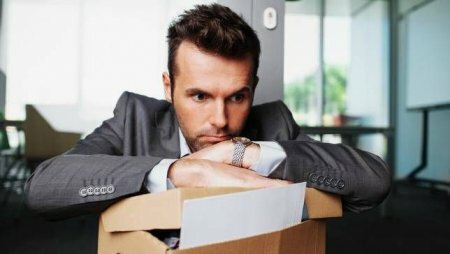 Hunting for job could be tiring, especially for young school leavers, and recent graduates that are lost when employers demand a certain years of work experience before employment. Here are 7 Ways to get a Work experience without a job. 1. Look Out For Unadvertised Vacancies: Not all vacancies would be advertised. As a prospective employee, you should be on the lookout for places where there are opportunities and proactively approach employers. Especially with small organisations, this works pretty fine. 2. Deal With Casual Jobs. Don’t be proud to try out casual jobs that may ‘look down’ on you. Many times, these jobs put your skills into action, and definitely add to your years of work experience. 4. Volunteerism: Volunteerism is a very potent way of getting a work experience without a job. This gives you an insight of what it is to work in a particular field. And it is one of the things employers look out for in your CV. They want to know how well you have engaged yourself before being employed. For instance, working as an adhoc staff during an election, (that turned out to be a success) is a plus for your CV. 5. Internships: Internship will give you the desired learning experience in your chosen field. Most internship opportunities in Nigeria are not paid, but the learning experience is worth gunning for. Internships give you a glimpse into the job market, and let you know how your desired job will work out. Most times, if you do wel in the cause of your internship, you may end up being formally employed by the same organisation. 6. Surf the Internet And Build Your Skills: The world is now a global chat room. People work Day 1-30 virtually from the comfort of their sofa. The opportunities online cannot be overestimated. You have access to online certificated training opportunities, skill acquisition programmes, leadership programmes, that can give you the desired work experience without a 9, 10, hours job. Don’t hesitate to turn in applications for these online opportunities, and you would be dazed at the amazing experience. 7. Have Your Own Business: Self-owned, and managed business is the mother of all experiences. In that, you deal with the challenges yourself. Employers want to see that in your CV, they want to see that you have started and succeeded or failed in something because they know how rigorous it is to run a business. Running your own business also gives you the opportunity to develop great networks and an attractive CV. You can decide to start your own business, in a very little way.